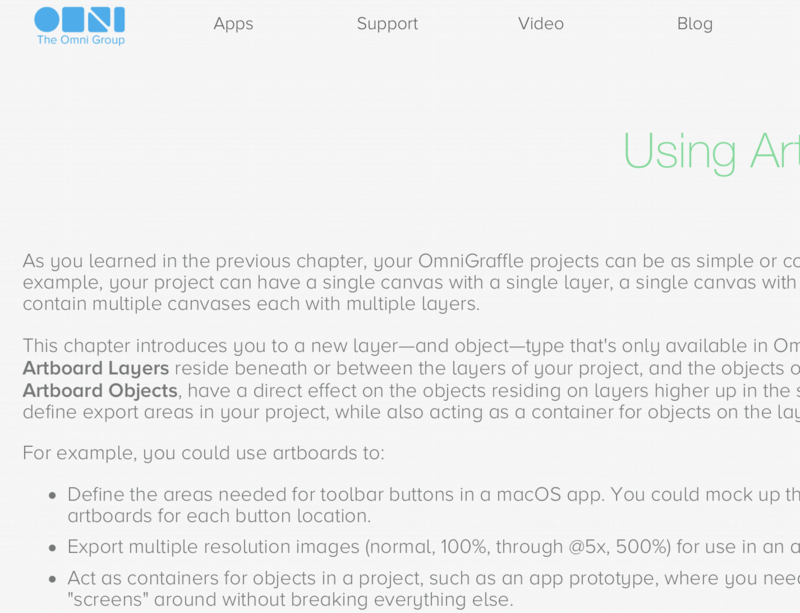 Its taking some time to make use of Omnigraffle 7 and I’ve been looking into replacing my use of Sketch for social media images. I tried the reading the Omnigroup documentation but I’m having big problems. I’m struggling with the utter lack of contrast between the text and background. Just to compare, here is the Safari reader that I’m now using to read this web page. 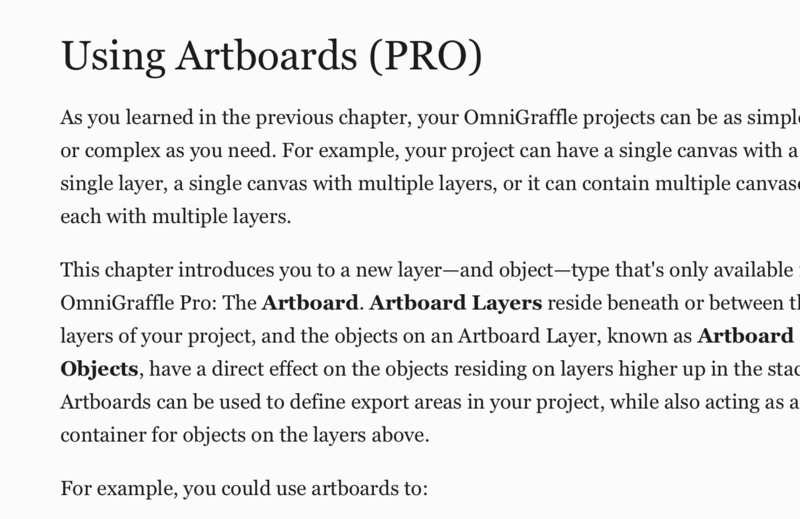 It seem quite clear that Omnigroup has overdone their hipster/artistic sensibility and forgotten that someone has to, you know, read the documentation.